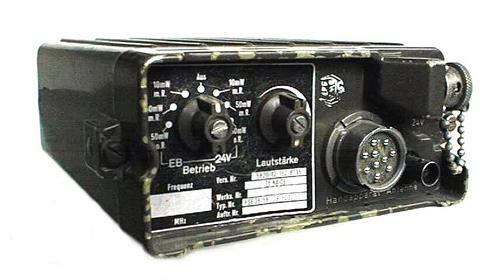 The German FSE-38/58 is a VHF FM Portable Transceiver with a frequency range of 38-58 MHz. Includes audio squelch facility. Output Power 10 and 50 mW. Powered by a 6 Volt Rechargeable Battery ( Not Supplied ) or a external 24 Volt PSU. Plug-in Crystal Frequency Selection. FSE-38/58 is modular constructed on a die-cast aluminium chassis. The water proof outer case is made from impact resistant plastic, with a aluminium front panel. Up to nine spare crystals can be stored on a holder inside the case. 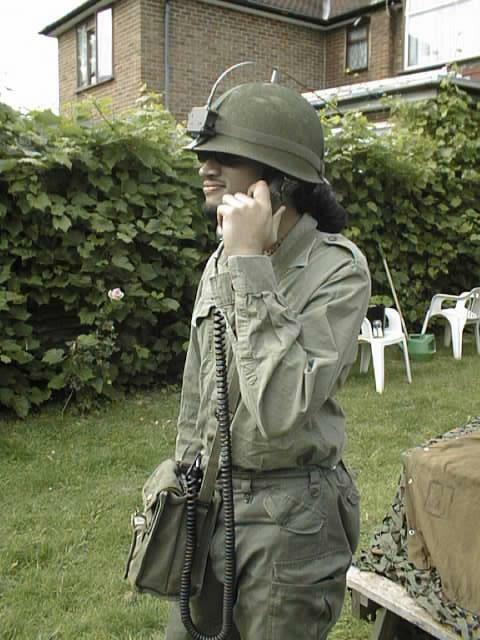 Uses a H-33/PT Hand Set. The radio can easy be modified for 650 mW Output. Two knobs on the front panel control the Volume and Different Operational Modes. 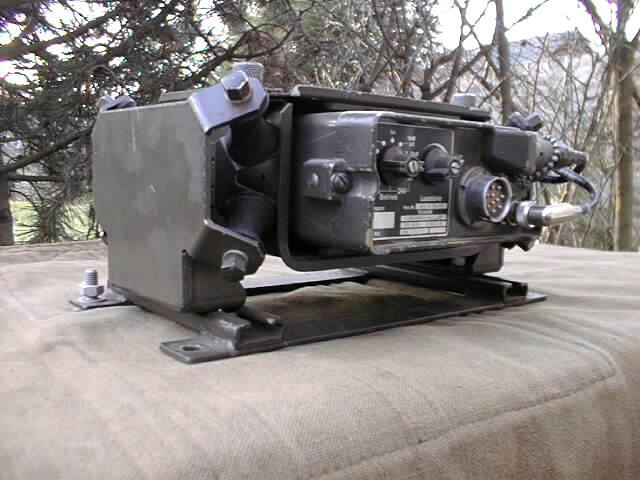 H-33/PT Hand Set socket, a BNC Antenna socket, and a 24 Volt power socket are also provided on the front panel. Battery holder is at the rear of the case. 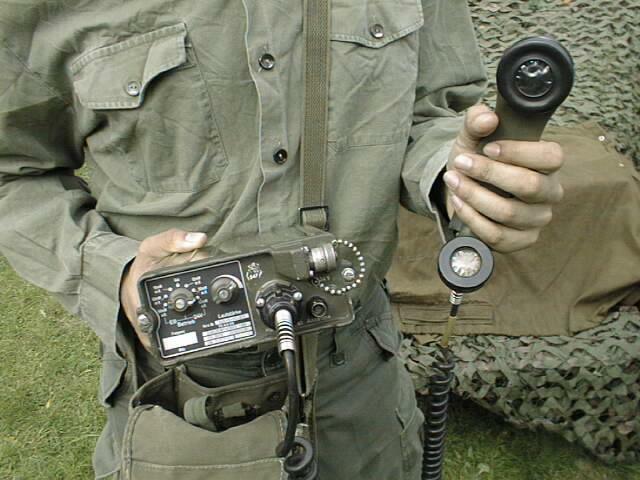 ** Supplied complete Serviced and Tested, with Crystals, a Canvas Carry Bag, and a Helmet Antenna.H-33/PT Hand Set is not included but is available separately.